Rising 27 stories into the sky, River Spirit Casino Resort will have 483 luxurious rooms and suites full of exquisite amenities that will make every attendee’s stay feel like paradise. Guests can relax at a resort pool area straight out of a Jimmy Buffett tune, with fire pits, cabanas, palm trees and a swim up beach bar. Looking for meeting space? 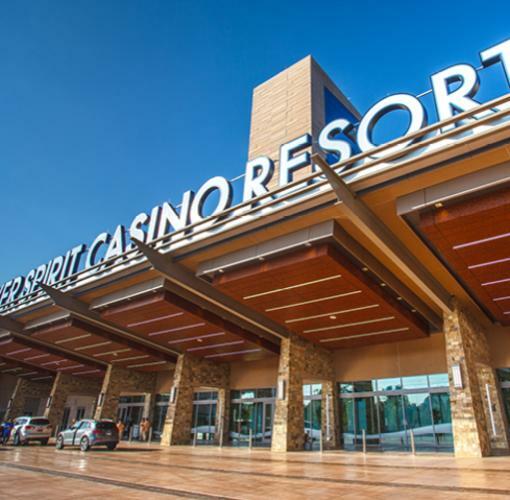 River Spirit Casino Resort has over 30,000 square feet of event and meeting space, including a ballroom, conference rooms and boardrooms, along with plenty of tropical themed amenities, so if you’d like to blend meetings with mojitos, book your event today!